I can clearly remember bringing my lunch to school as a kid, all packed up nicely in a brown paper bag with my sandwich, crackers and fruit portioned into their plastic baggies. My mom did a great job of making sure that I had plenty to eat (love you, Mom!) of course, but it wasn't the most eco-friendly way to go. Even as we just make small changes to our daily life to help benefit the environment, I know that by having my daughters take reusable lunch gear with them as they grow up can definitely make a difference. But digging in our drawer of mismatched containers wasn't fun for anyone, let alone resulting in a big mess that had to be tossed into a separate bag anyway. 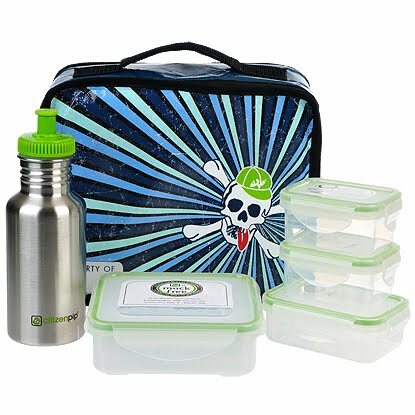 Fortunately, we were introduced to Citizenpip and their great line of convenient, muck-free (free of lead, BPA and phthalates) lunch gear and ditching our disposables has never been easier or more stylish. Inspired by the belief that making small changes can add up to a big impact, Citizenpip makes packing a waste-free lunch quick and easy with all of the tools in their great line of reusable lunch items. With the start of the 2010 school year and environmental awareness increasing by schools and families more and more each day, now is the time for a practical and stylish solution, right? Around here it is. And right away I knew that we were going to like Citizenpip's Starter Kit, as it contains everything you need to be on your way to a happy, healthy lunch for your child and the earth. 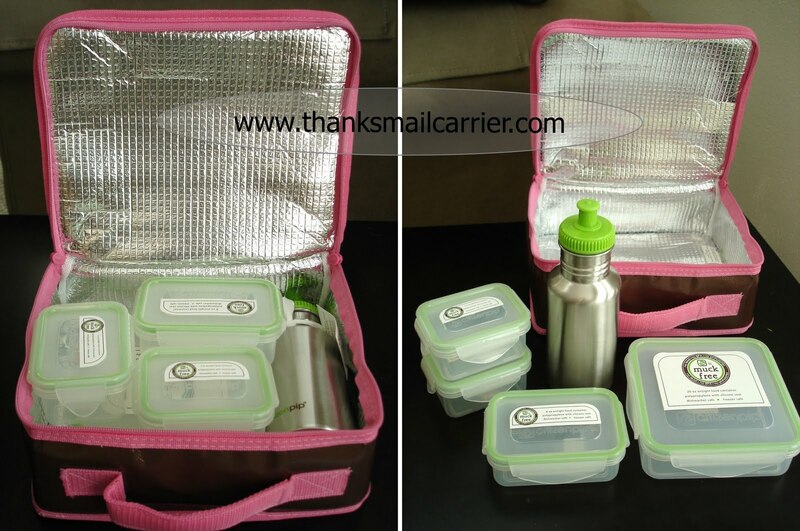 With the insulated lunch bag, stainless steel water bottle and four airtight containers, all you need to add is food! Having selected the Patchwork design for the insulated lunch bag, I was really happy to see that the bright, colorful patterns looked even better in person than they did on the website. Only slightly larger than a traditional rectangle lunchbox (9" L x 10.5" W x 4.5" D), I love the fact that the thick, insulated sides to this bag are flexible, meaning fitting it into a backpack is no problem or squeezing in an extra banana is completely doable as well. With an easy-to-clean exterior and interior, wiping spills from this bag are no problem at all and there is even a designated spot right on the outside for writing your child's name in permanent marker. The sturdy handle makes carrying this bag easy and the zipper moves smoothly enough that Big Sister E can open and close it herself. Waiting inside, the 16 oz stainless steel water bottle has a mouth wide enough not only to fit ice cubes (which keep the water cold while acting like a cooler for the food as well) but makes it easy to get inside to clean it also. The sport top was also designed with children in mind, because there is no difficult twisting or maneuvering to get it open. Big Sister E can easily pull this out, pop open the top and grab a quick drink whenever she wants. Finally, the four airtight food containers are just about the best little reusable containers that I've seen. As well as being muck-free and not containing any lead, BPA or phthalates, they are completely airtight, watertight and leak-proof. No matter if your child carries their lunch bag daintily by their side or uses it as a sword with friends, these containers will hold tight and keep food fresh. Plus, the easy-open snap lids are extremely child-friendly and can be done with only one hand, meaning much less whining by a certain Big Sister E for help. In fact, she loves that she can open and close these containers all by herself and not have to wait for me. The combination of the 20 oz, 8 oz and two 5 oz containers fit perfectly into the lunch bag with the water bottle, even leaving a little extra room for a few added snacks. All in all, we love this Starter Kit. As well as complete lunch systems, Citizenpip also sells their great products individually so that you can customize exactly what you need. There are four great lunch bag designs as well as four edging colors for the airtight containers so you can truly coordinate for each individual personality. Whether packing a waste-free lunch is old habit or a new venture, Citizenpip's Starter Kit will keep you solidly on the right track for going green. Parents are happy with the muck-free practicality, durability, flexibility, dishwasher and freezer safe options that will eliminate the need to buy and dispose of plastic baggies and paper lunch bags. All the while, kids like the fun colors, easy to open and close, child-size, lightweight way to keep their sandwich and grapes from ending up squished. Everybody wins! To enter to win: Visit Citizenpip and tell me one of their great products that caught your eye. 3 Extra Entries if you blog about this giveaway linking back to Thanks, Mail Carrier and Citizenpip. Giveaway will end on October 1st at 11:59pm CST. Do me the favor of leaving an email address or making absolutely sure it is visible in your profile, I have to have a way to contact the winner. The winner will be chosen by random.org and announced here as well as emailed and will have 48 hours to contact me or respond to notification or a new winner will be chosen. This giveaway is open to continental U.S. residents only. A big thank you to Citizenpip for providing a Starter Kit for review as well as for one lucky giveaway winner. The opinions shared are my own and honest and if you really need to see more, click here to see how I roll. The food jar caught my eye. Looks like it will keep food warm! Left message on Citeznpip's FB wall. I like the FORK+SPOON SET. I entered the Chic Monkey giveaway. I love the Patchwork Style Starter Kit! I subscribe to Thanks, Mail Carrier by email also. I like their airtight containers too. I REALLY want the food jar. My daughter's food has been cold by the time she eats. I like the Food Jar. I really like their waterbottle! Shared on both Thanks, Mail Carrier & Citizenpip's Facebook Pages! Follow you on Twitter & Tweeted! Love the starter kit with the skull and crossbones on it. 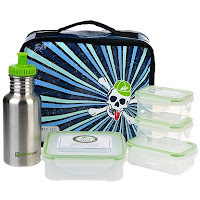 I really like the starter kit because it is the perfect collection for my kids - my son likes the skull pattern! 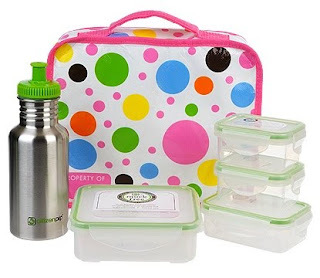 I like the polka dot lunch bag. I like their 12oz. INSULATED FOOD JARs. I like the soap nuts kit. I like the POlka Dots Soup to Nuts kit! I entered the Zoobies giveaway! I entered the Target giveaway! I entered the Amazon/GiftZip giveaway! I entered the iPlay giveaway! I entered the Pillsbury giveaway! I entered the Magneatos giveaway! I entered the Halo giveaway! I entered the Kodak/Energizer giveaway! I entered the Chick Monkey giveaway! I entered the PlayDoh giveaway! 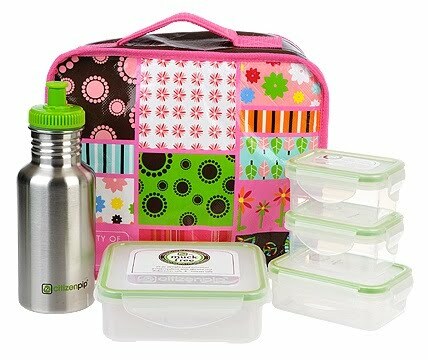 Love the BYOB kit...we have a couple of lunch bags that we adore, but it would be great to have the rest of the CP system!